I was first contacted by Sabrina from A Cake Dream when she was looking for some advice on Swarovski crystal elements, and how best to mount them on wire. When I learned what she was up to--creating a wedding cake with Swarovski elements in the centers--I knew I had to see the pictures. I already put Swarovski crystals on everything else that will hold still long enough--of course a Swarovski wedding cake would be spectacular! I wasn't disappointed. Just look at this incredible cake! 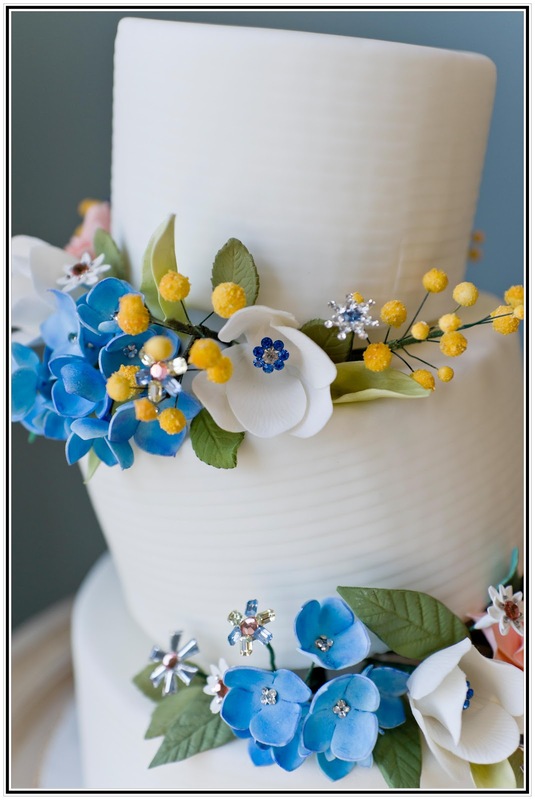 Gorgeous photos of this remarkable cake courtesy of Samantha Shay Photography, LLC, from a photo shoot at Exquisite Bride. Just goes to show you, Swarovski crystals and rhinestones aren't just for tiaras and accessories. If you're interested in getting this look for your cake, contact us. 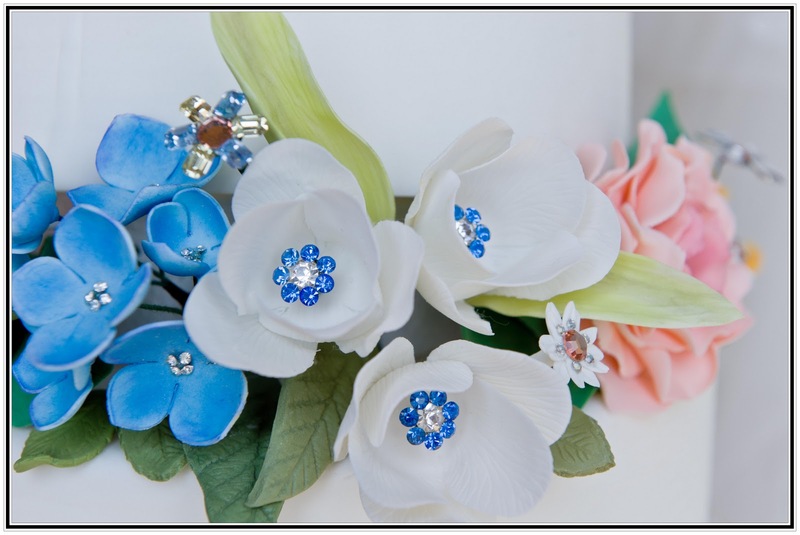 We're happy to supply you with Swarovski components that are a perfect match for your accessories, so you can give them to your baker for inclusion in the cake design.